In general in your test will be used the problems similar to your WebAssign and homeworks. 1. Given a graph of a function f, sketch its derivative f′below. In general in your test will be used the problems similar to your webassign and homeworks. 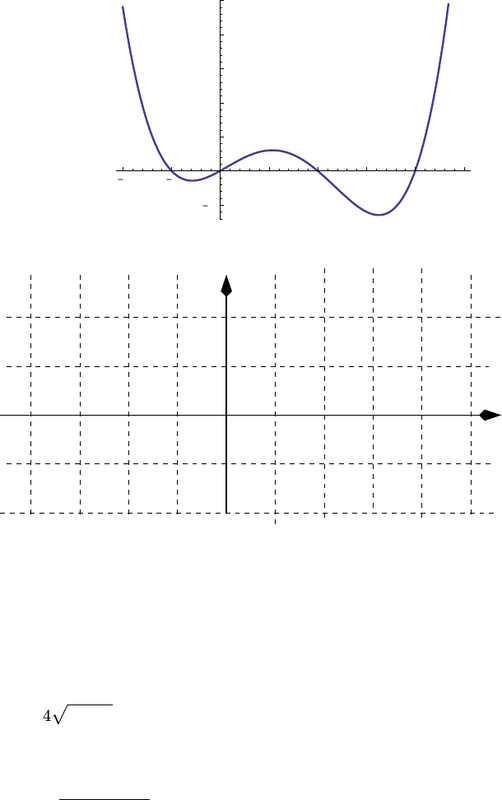 Practice test # 1, math 1550, spring 2012: given a graph of a function f , sketch its derivative f below. X: determine the type of each given limit and nd evaluate them, without approximations or numerical estimations, lim x 0 (4px3 + 2 5) b) lim x 10 x + 10 x2 + 4x 60. 1 ex2 sin x: lim x 5 x 5. |5 x| e) lim h tan 1(x3 x: lim t 3. 1 t 2 t + 3: lim t 0(cid:18) 1. 1 t(t + 3)(cid:19: lim s 9 s 6. 3: use the squeeze theorem to nd lim x 0 (x3 cos. The distance traveled after t seconds is s(t) = 10 16t2ft. Compute the average velocity over time interval [0. 6, 0. 7]. 4: nd a slope of the secant line of the graph below over the interval [-1. 8, -0. 8].